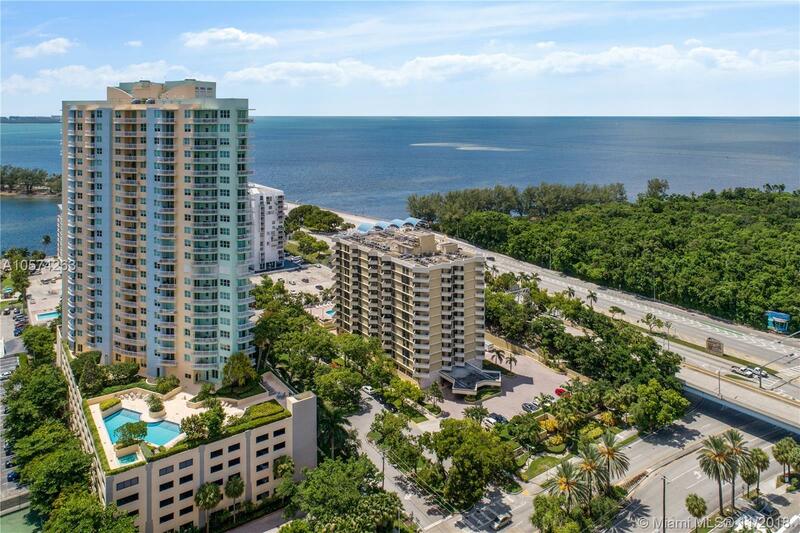 Penthouse unit, nicely updated with breathtaking views of Biscayne Bay, Miami Beach and Brickell. Prime Location! The Metropolitan is conveniently located between the entrance of Brickell/Key Biscayne and seconds away from I-95 and US-1. The unit features a split plan with an open living area, including floor-to-ceiling glass sliding doors, allowing tons of natural light and breathtaking 180-degree views. Floors are a combination of honed marble in living areas, while bedrooms have newly installed Luxury Vinyl Tile and 6â modern white baseboards throughout. Bedrooms are spacious and airy with over 12 ft ceilings and custom elfa closets. Enjoy the views from your open kitchen area and your brand-new appliances, light fixtures and hardware. Easy to show but even easier to finance! Directions: Gps Is Best… South Brickell Just Before Entering Key Biscayne Bridge On The East Side Of Brickell Ave.